The album they created is exactly that: a pin-sharp pop record inspired by Queen, Dexy’s Midnight Runners, Soft Cell – and by the disco at the youth hostel they were staying at during the two-week recording sessions at The Pool in South London. “It was full of Spanish tourists dancing to Michael Jackson,” says guitarist Dylan. We were there on the dance floor trying to work out why it sounded so good, analysing Quincy Jones’ production and thinking, how did he get that hi-hat sound, or that groove?” The experience rubbed off onto the album. “It inspired us to make something quite rhythmic and groove-based that wasn’t computerised or perfect,” says Meilyr. 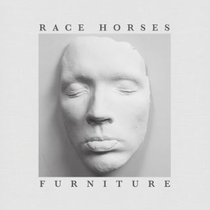 Though it’s frequently an upbeat piece of work, there’s a stark contrast in Furniture’s lyrics: its central idea speaks to universal feelings of frustration and the everyday erosion of relationships. “It’s about people that spend a lot of time together gradually starting not to see each other,” says Meilyr. “If you put a picture on your wall, over time it dissolves into the background. It’s the same when you’re living with someone; they become an object over time.” That’s the thought that fuels the chiming title track ‘Furniture’, the percussive Mates and more. 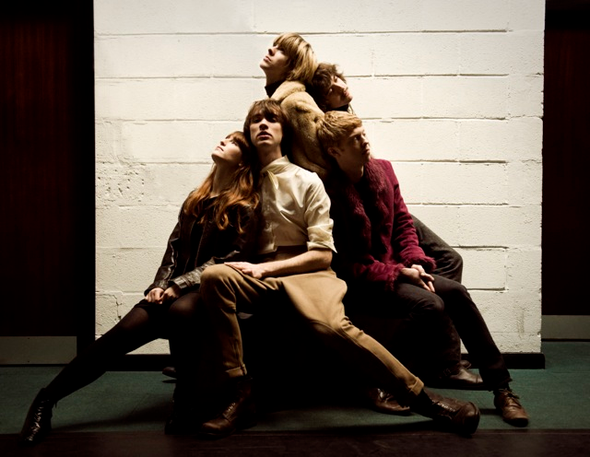 While the album sees the band’s creativity boiled down into perfect pop, there are also surprises around every corner - lyrics inspired by DH Lawrence and Thomas Hardy, and an unusual sonic palette employed throughout, including clarinets and bassoons recorded on a 4-track in the boiler room of the Royal Academy of Music. It’s out 10 September 2012 on Stolen Recordings / [PIAS] Recordings.